I picked up The Brief one Saturday afternoon, after the football results disappointed me yet again, and by Sunday morning I was into the final pages. 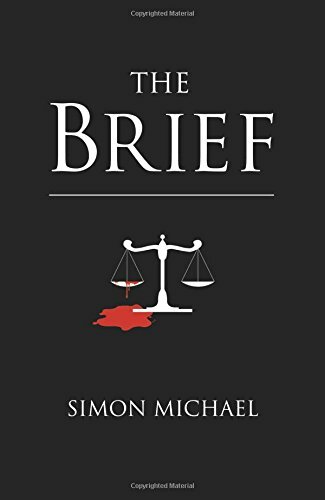 This is a seriously good British crime novel and really stands out from the rest by including real court documents. Charles Holborne is the barrister defending Plumber. His success is envied by his peers as he doesn't come from a privileged background and he has more enemies than he realises. Charles is unhappily married to Henrietta; Charles works long hours and even has a little flat in London for nights he works late and Henrietta becomes well known for having affairs. As the scene is set in advance of Henrietta's murder, the suspects have all been lined up nicely but the evidence has been planted to point at Charles. As Charles fights to clear his name he really finds out who his friends are. Phew! I had to stop and take a breath after finishing The Brief. 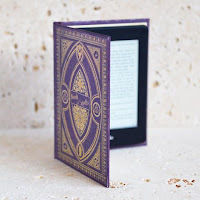 I felt like I was in the speed-reading olympics with my nose getting closer and closer to the page and my bottom perched precariously on the edge of my seat. I completely bought into the 1960's era with the mention of The Great Train Robbery and the run in with The Krays. The authentic police statements and court transcripts were just the icing on the cake - I felt like I was watching the drama unfold before my very eyes. 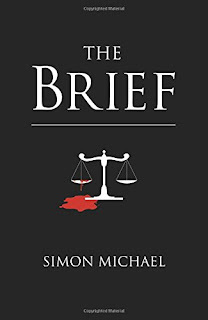 Absolutely unputdownable; if you loved watching Damages and The Good Wife you will definitely enjoy reading The Brief. This is Britcrime at its very best. So stop reading my review and go and buy this book right now! It is FANTASTIC! I can't thank Matthew at Urbane Publications enough for sending me this brilliant book in exchange for an honest review. Thank you, Matthew!